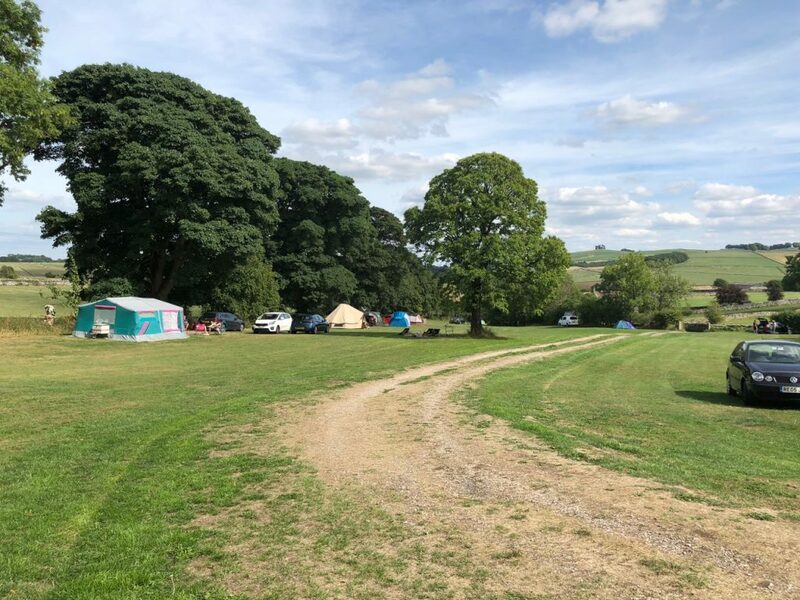 Alstonfield is pretty as a picture with two campsites and a pub at its heart. There’s a car park though near the centre of the village, next to the church and public toilets. After parking up turn right, heading away from the centre of the village, down Lode Lane. Before long you will see an un-made track which splits off to the left,and a sign directing you to the Youth Hostel. Take this track and walk along this pretty, enclosed lane. 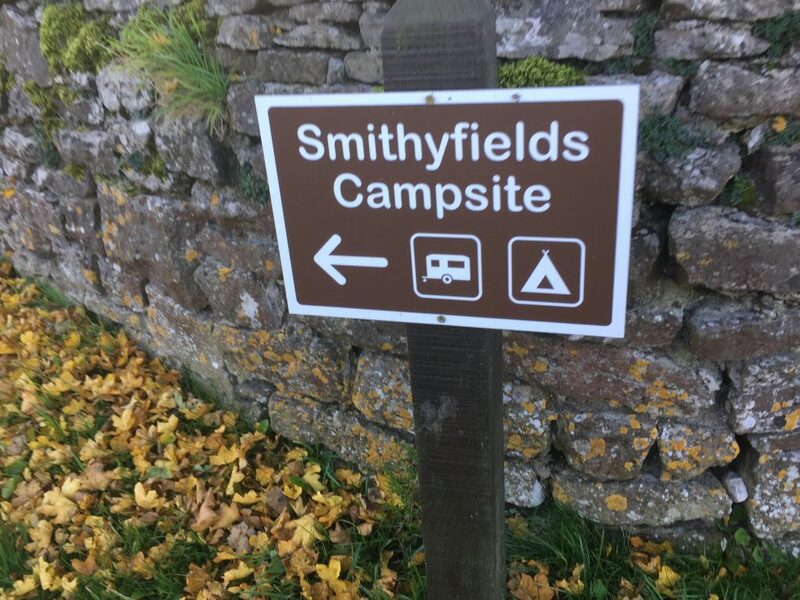 You’ll pass a youth hostel on your left and then see clear fields through the hedges on either side of the lane. Follow the path now until it begins to descend. Suddenly the hedges are behind you and the view opens up. 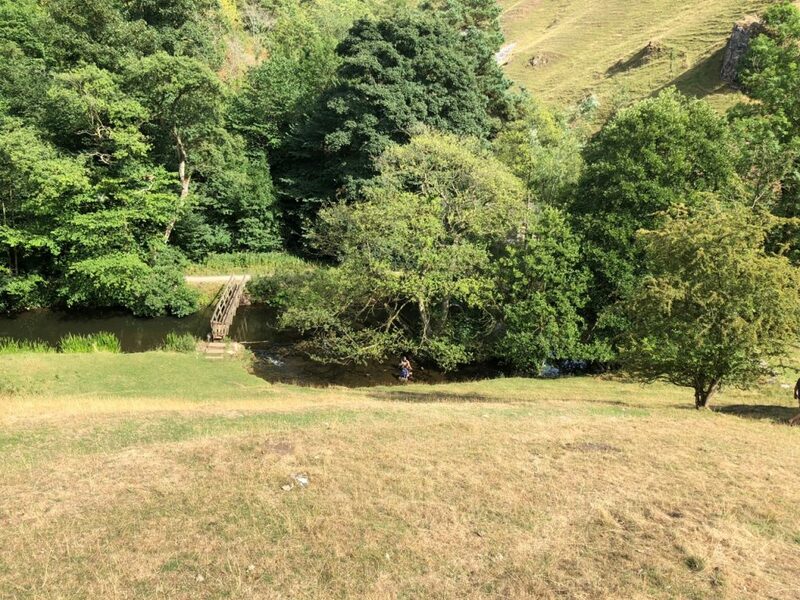 You can see the River Dove directly below. You now walk down the steep Gypsy Bank before reaching the riverside. 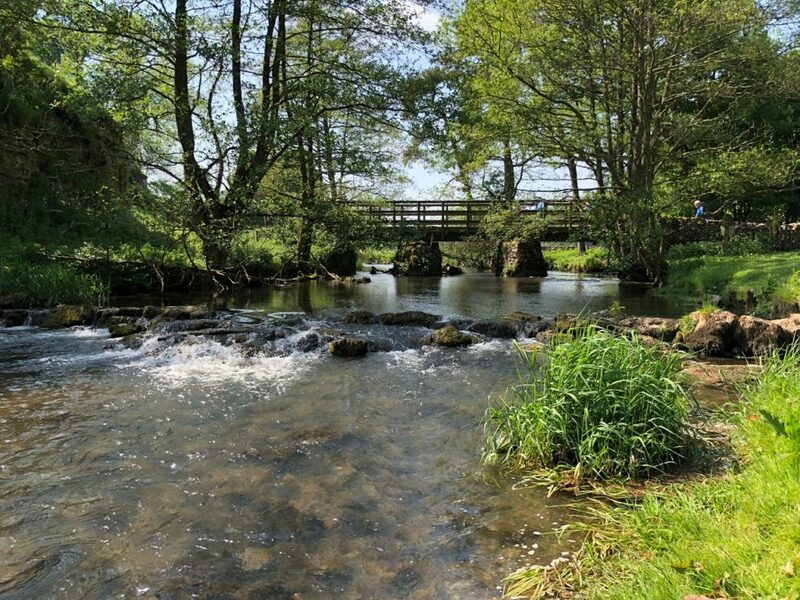 Cross Coldeaton Bridge and then turn left, upstream and walk along the pretty riverbank for a mile or so. You’ll pass the remains of the Ram Pump House that used to supply water to nearby farmhouses. 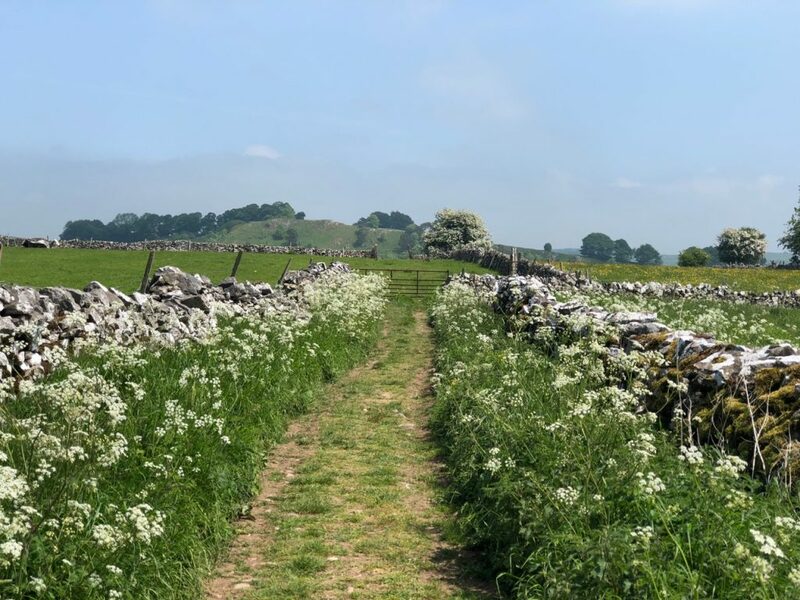 After a while , the pathway splits, the right fork takes you up Biggin Dale. 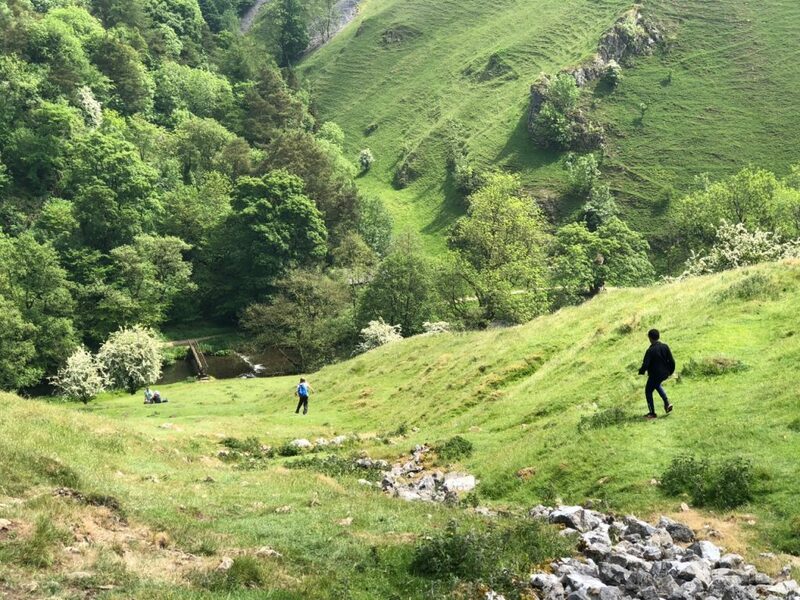 You want to take the left fork, sticking to the riverbank and entering the beautiful, evocative and atmospheric Wolfscote Dale. 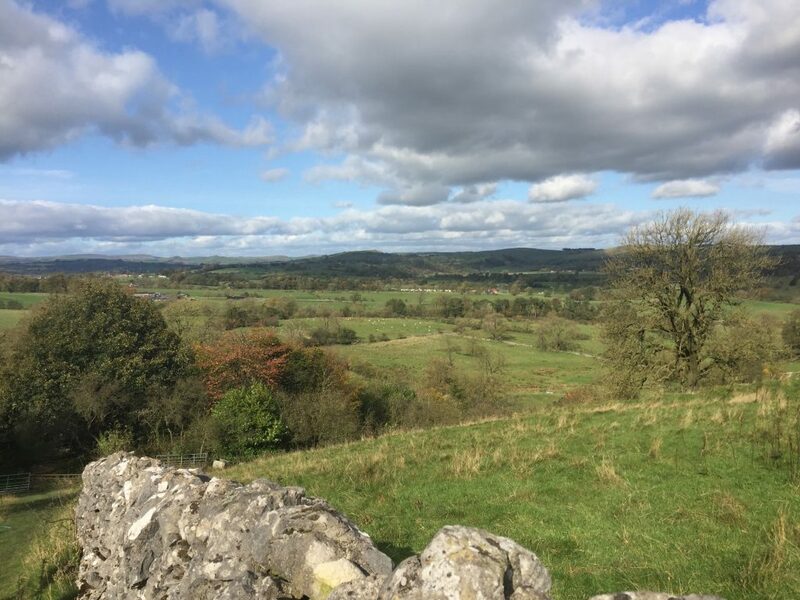 Wolfscote Hill to your right is over 400 metres high, but it’s peak is hidden by steep banks. After enjoying the wonderful dale for a mile or so, you reach a footbridge with caves high above you to the right. 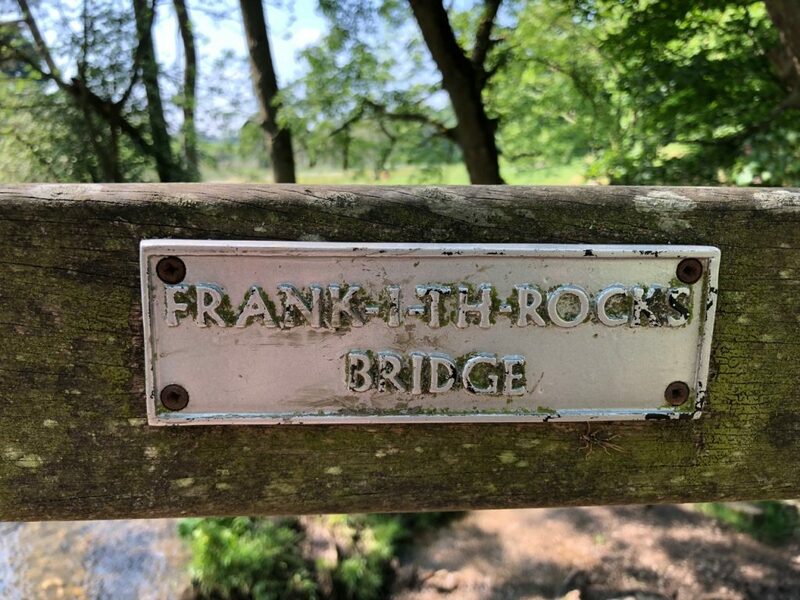 Unless you want to walk further on to the village of Hartington, cross the river here at the wonderfully named Frank i’ the’ Rocks bridge. Pass through a gate and onto a track, and then follow what looks like a newish pathway, leaving the river behind you. The path skirts a hillside to your left and their are great open views to the right. 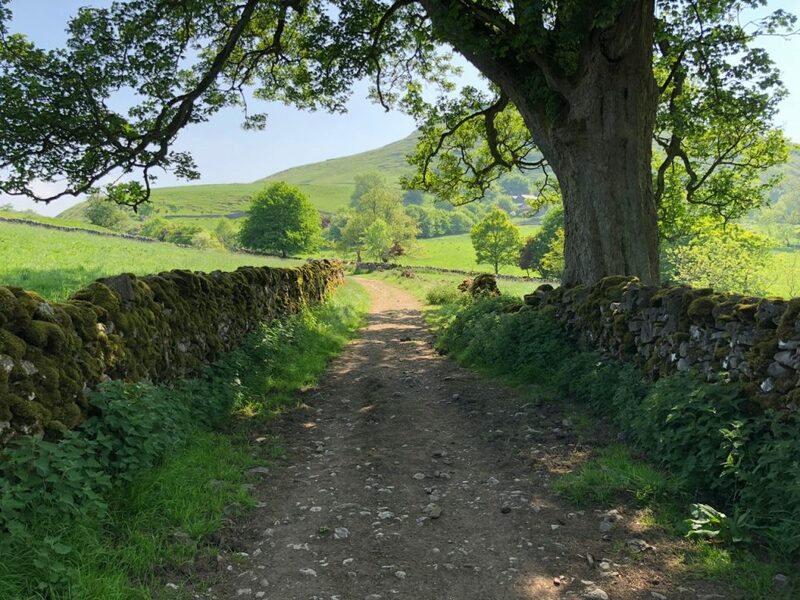 You soon see Narrowdale hill and Gratton hill in front of you. 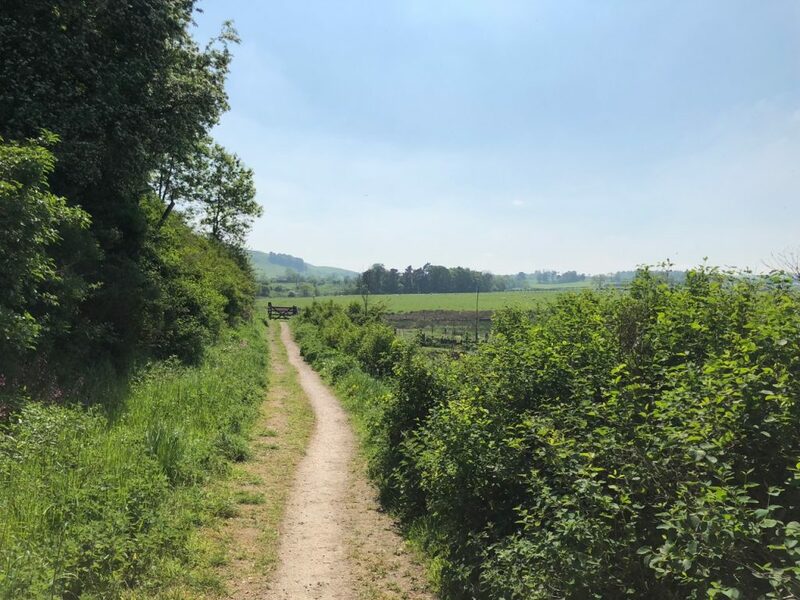 Don’t take the first path on the left between the two, but take the right turn instead until you reach a derelict farm house. Turn left here and begin a slow climb up along the edge of Narrowdale Hill. 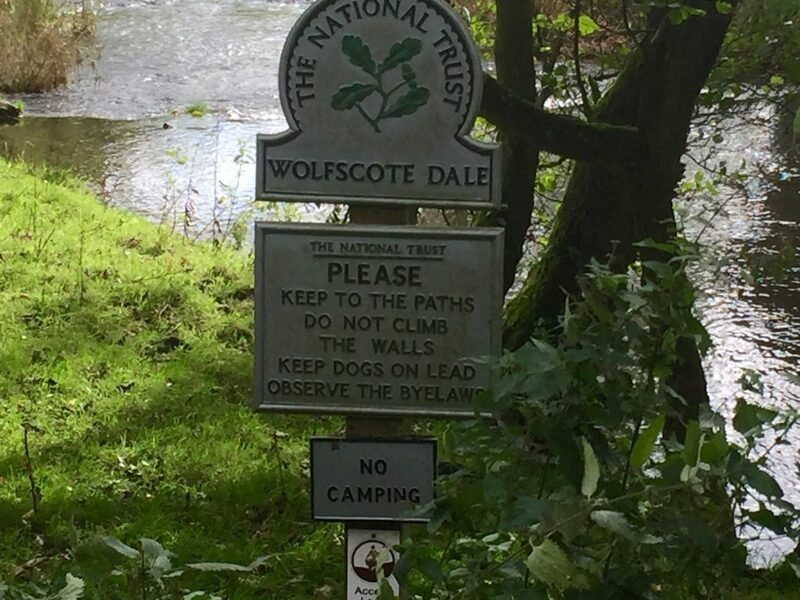 After the closed-in intense riverside beauty of Wolfscote Dale, you now experience the opposite. 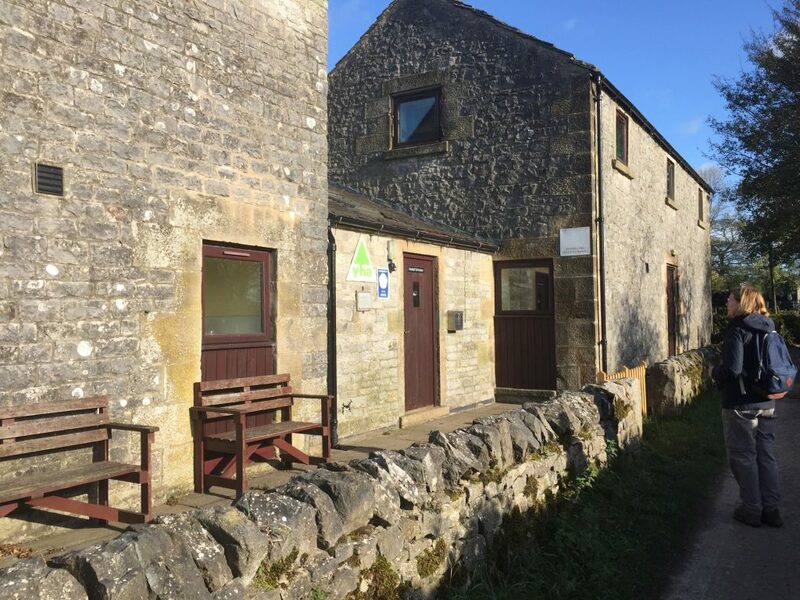 You are surrounded by fine views of green-pastured hills and dales. Your legs feel the incline as you gain height. Narrowdale Hill is now on your right and to your left is Gratton Hill. Your path pleasantly passes between them, before opening out again. Alstonefield is soon in sight. The path meets the road. You walk past pretty cottages that pepper the roadside before taking a left fork. This leads you directly past the village green and then to your parked car. You may feel that after you walk you deserve a drink and some refreshment. 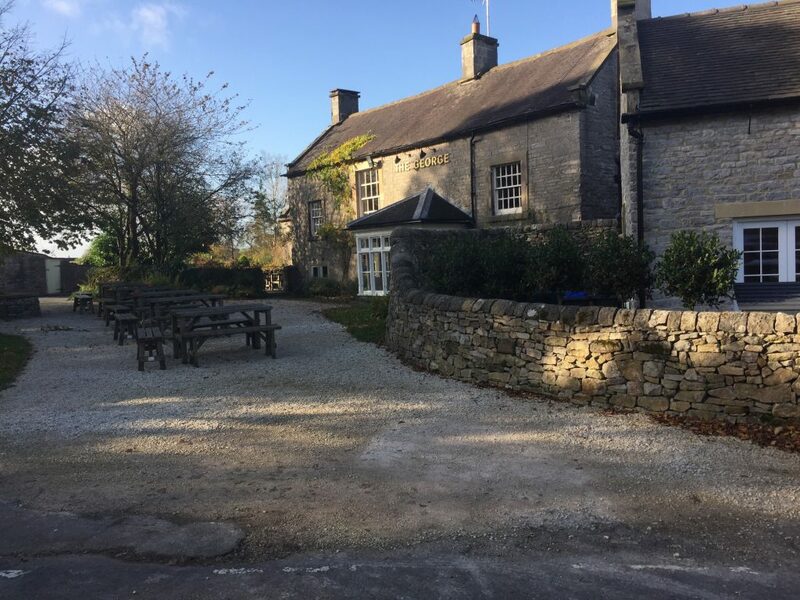 The The George Inn, on the village green will not disappoint. 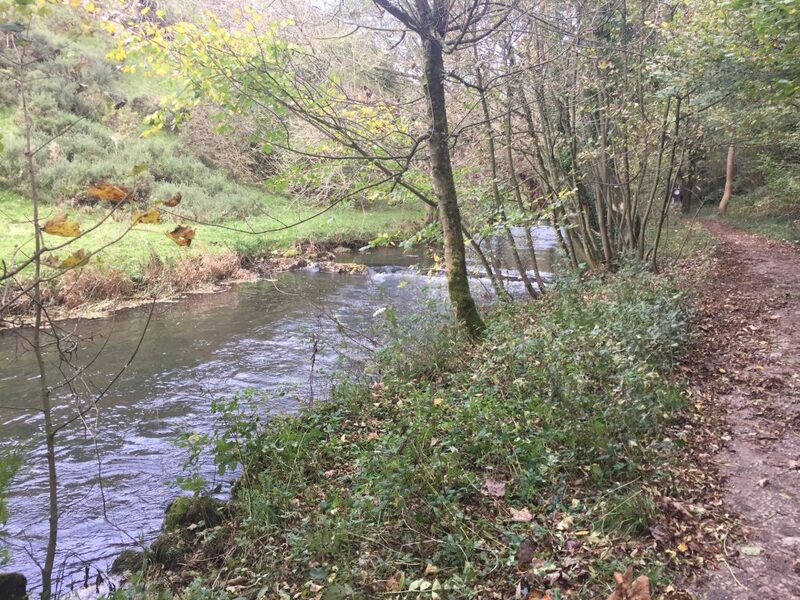 Interested in a longer walk along the river beautiful river Dove? 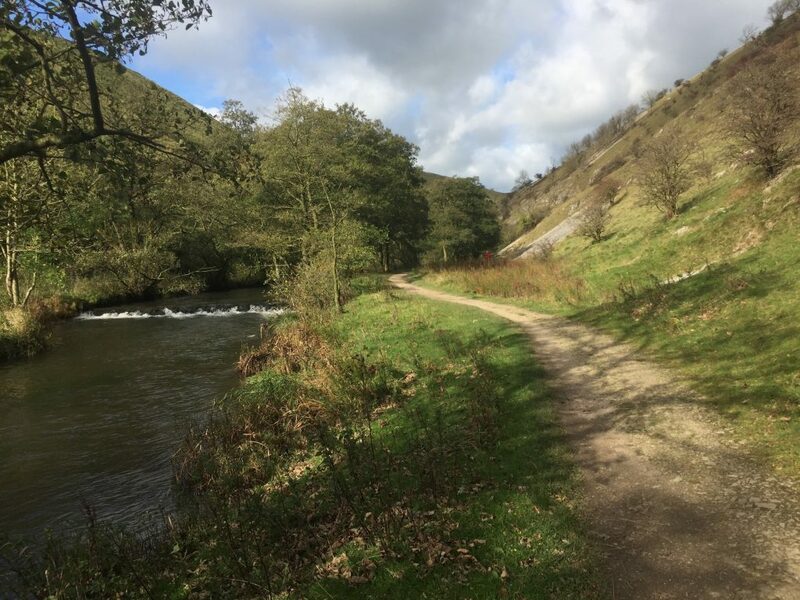 click here for a description of the river walk from Dovedale to Hartington.